Product prices and availability are accurate as of 2019-04-22 21:24:10 UTC and are subject to change. Any price and availability information displayed on http://www.amazon.com/ at the time of purchase will apply to the purchase of this product. 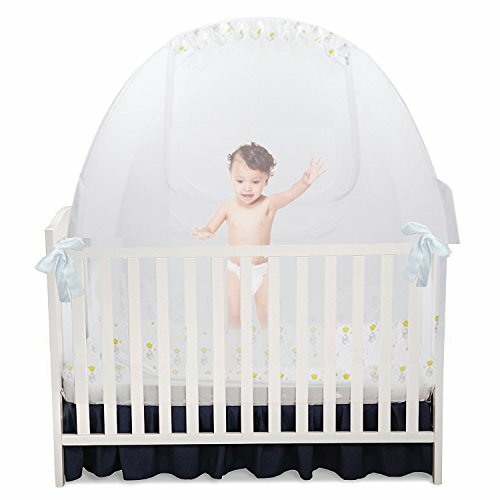 Nahbou is delighted to offer parents and caregivers everywhere our exclusive pop-up baby crib tent. 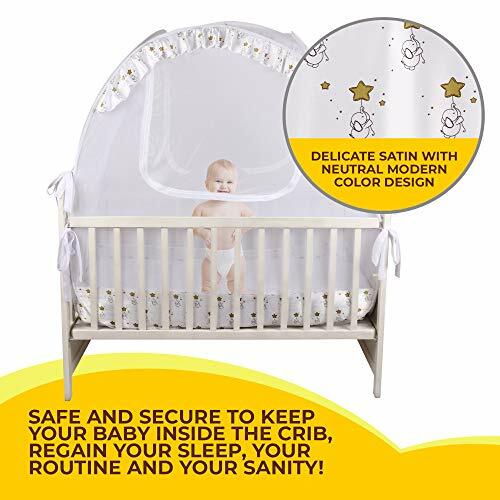 This high quality tent is perfect for keeping your little ones safe and secure in their crib while you rest during the day or at night. 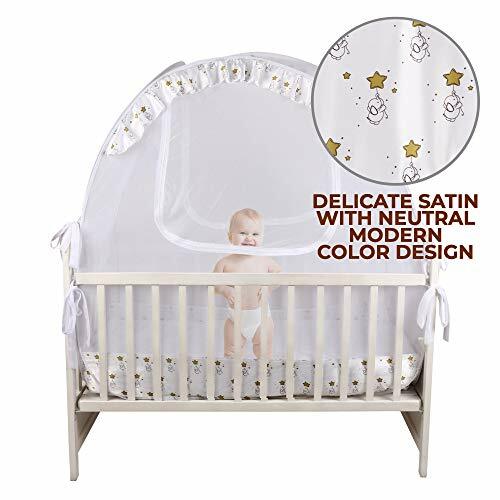 Made with the highest quality materials our tent assembles in seconds and easily secures to your baby's crib to create a canopy of comfort and security. Sturdy auto locking zippers ensure your infant's security at all times while in the canopy. 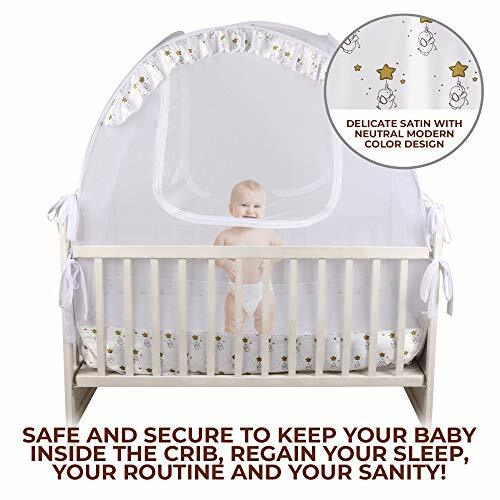 The heavy duty pulls allow parents easy access to baby's bedding, toys, pacifiers, or clothing while preventing little ones from climbing out of their crib at night or during nap time. 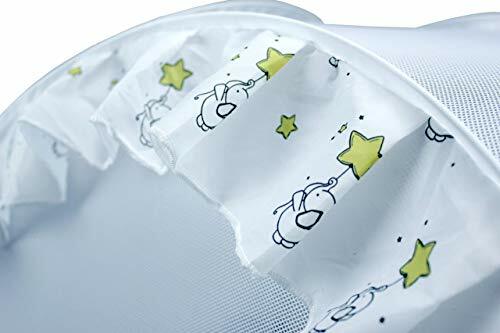 The soft BPA free terylene fabric in our tent is washable and wipeable making the tent easy to clean and sterilize. 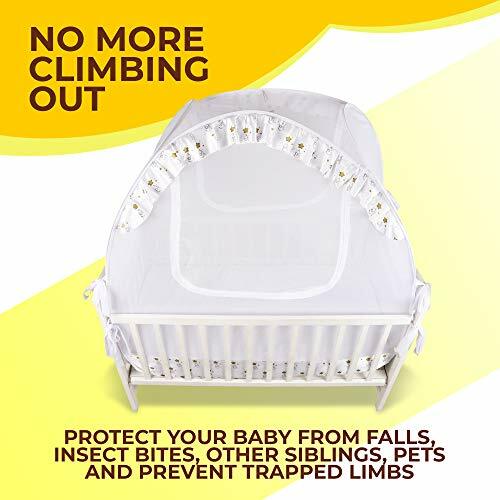 The Consumer Product Safety Commission approved materials and design have been extensively tested and never recalled.